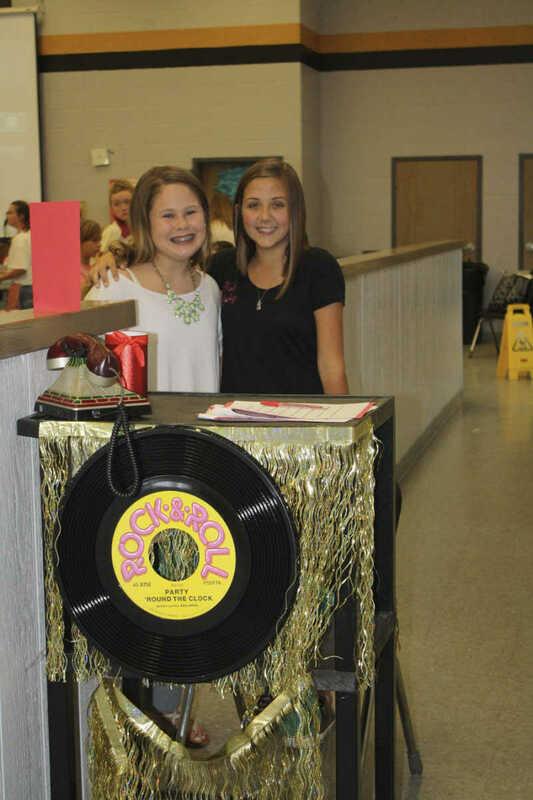 Trumann Intermediate School Gifted and Talented students welcomed friends and family to their End of Unit Party with a 50's and 60's theme to it. 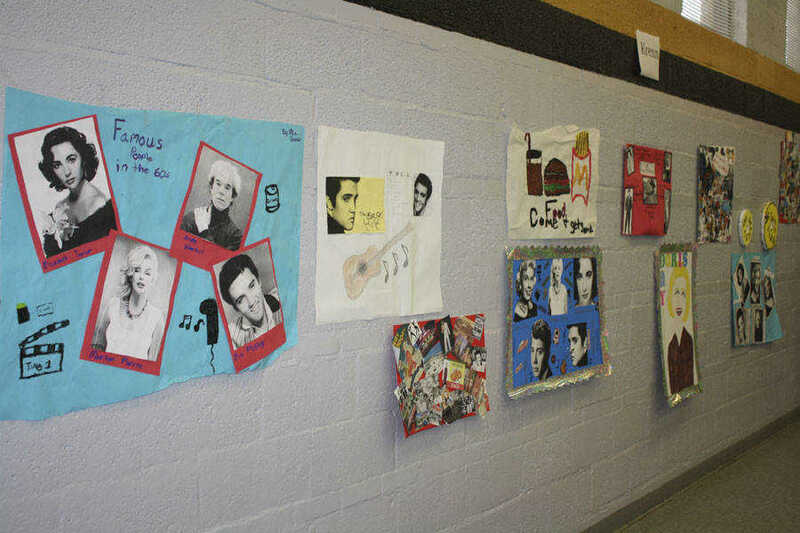 Trumann Intermediate School Gifted and Talented students showcased their artwork pertaining to their period of study. 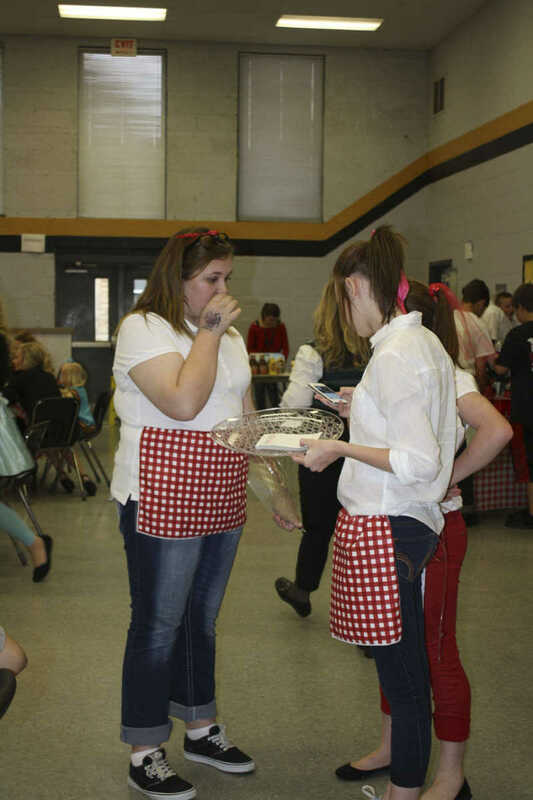 Students took orders from their parents and family members and served 50's diner-style foods. 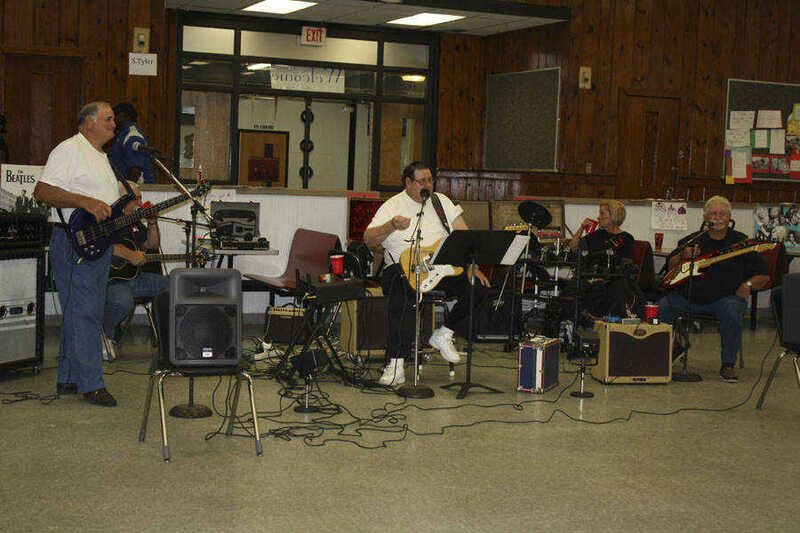 The Wolf Pack and friends performed live music for the 50's End of Unit Party. 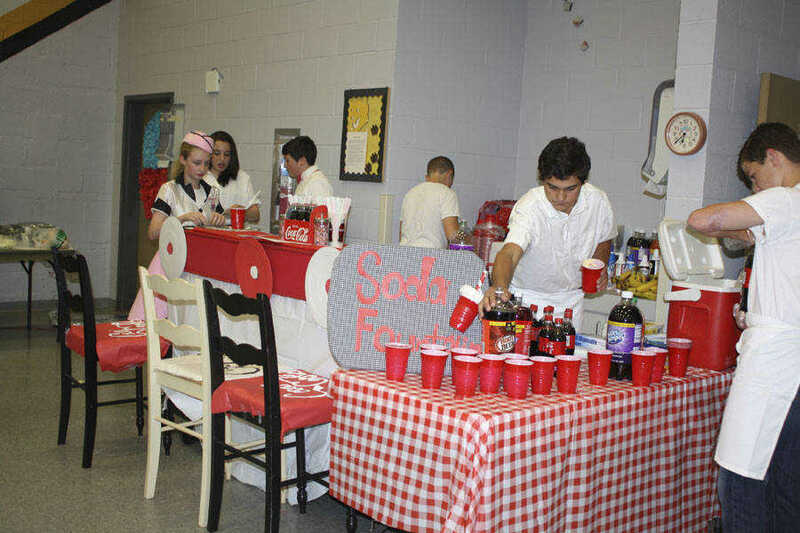 The students put a lot of hard work into their research, as well as, their celebration. 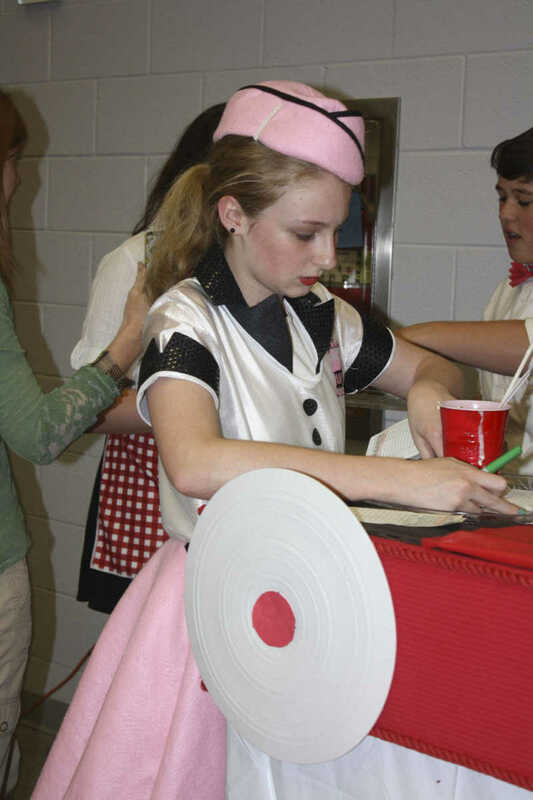 The girls dressed and 50's and 60's waitresses, while the boys were Soda Jerks for the event. Madison Stewart, 8th grade gifted and talented student, poses with her brother Ethan Stewart, 4th grade GT student.